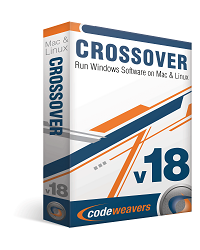 CodeWeavers recently released CrossOver 14.0.0 for Linux and Mac. Gaming performance continues to advance with this release. The full change log is provided below. You Can use promo code UNITY in CodeWeavers store and save 30% off the normal retail price. CrossOver's Graphical User Interface has been entirely redone. 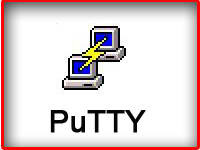 Windows applications can now be easily launched from within CrossOver itself, and much of the rest of the user interface has been simplified. The CrossOver Software Installer more prominently displays all search results when a user searches for an application to install, making it easier to find the desired application. CrossOver can now automatically detect and install missing packages on many Linux distributions, making it easier to get the packages you need. CrossOver will attempt to install a minimal set of packages on first-run, and will also attempt to install packages needed by specific Windows applications when those Windows applications are installed. CrossOver has fixed a bug with the way it uses threads in GTK+ (this bug fix allows CrossOver to run on Ubuntu 14.10). CrossOver should now detect proxy settings on systems which use GSettings. Fixed proxy detection for certain KDE configurations. CrossOver now supports Quicken 2015 on both OS X and Linux. CrossOver now supports Hearthstone on Linux. CrossOver now supports Cube World on both OS X and Linux. CrossOver now supports Path of Exile on both OS X and Linux. CrossOver now supports Warcraft III on Linux. CrossOver now supports Euro Truck Simulator 2 on both OS X and Linux. CrossOver now supports Terraria on both OS X and Linux. CrossOver now supports South Park: The Stick of Truth on both OS X and Linux. CrossOver now supports Xenonauts both OS X and Linux. The "Save a copy as" feature in Quicken 2014 is now functional. 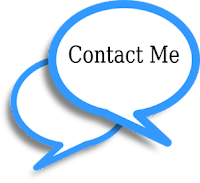 Quicken 2014 is now able to validate data files. Quicken 2014 now displays its update notice correctly. Quicken 2014 will now remember when its windows are re-sized. Scrolling using a trackpad on an Apple laptop will now work in Quicken 2014. Formatting of message timestamps in Outlook 2010 has been improved. Many games - Deus Ex: Human Revolution - no longer require the Legacy X Window System to run on OS X.
CrossOver's built-in web browser has improved and now loads more sites, including the U-Haul website and the website for the United States Copyright Office. Steam can now be hidden reliably on OS X.
Legacy Family Tree 7 will now run under CrossOver on OS X. Printing will now work when MathType is installed alongside Word 2007. CrossOver 14.0.0 is based on Wine 1.7.25 which includes over 5,000 patches that fix bugs and add greater Windows compatibility.